We can now offer our customers a very wide range of fiber optic transport, interfaces and data conversion solutions at cost-effective rates for reliable and efficient data networks. 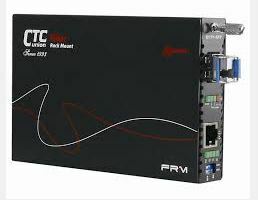 These fiber optic solutions offered here are at the right price, with excellent field-proven performance These data conversion units are perfect for all telecommunications businesses, system integrators, and value-added resellers (VAR’s). Let us know what you are trying to send across fiber, and we will recommend the best most cost effective hardware for the job. CTC develops and manufactures, network communication products with a focus upon fiber optic technologies, Ethernet technologies and broadband access technologies. CTC is a top global equipment supplier for last-mile access telecom products. CTC’s global alliance is a network of worldwide branch offices, partners and distributors from every continent. By forming partnerships with major telecom operators, Internet Service providers and value added resellers, CTC Union reduces costs and improves services for customers. We provide CTC products, with little or no lead-team, to customers in North America.